As usual, you can find the basics at The Other Wiki . The Bad Guy Wins: The audience was shocked to silence when he pinned Bruno Sammartino, ending his eight year reign. 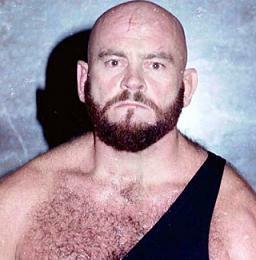 In fact, the ring announcer didn't even proclaim that Koloff had won out of fear of how the audience would respond. Bears Are Bad News: His Red Baron: "The Russian Bear"
Gimmick Matches: Of the Russian Chain variety. HeelFace Turn: In the late 1980s to feud with Paul Jones' team the Russian Assassins (I [The Angel of Death] and II [Jack Victory]). Pro Wrestling Headband: With the letters "CCCP" on it. Ring Oldies: In the 1990s and any later matches in the Carolinas independent scene. Unrelated Wrestling Family: Kayfabe uncle of Nikita Koloff.